This is a cool, tall and densely urban city. 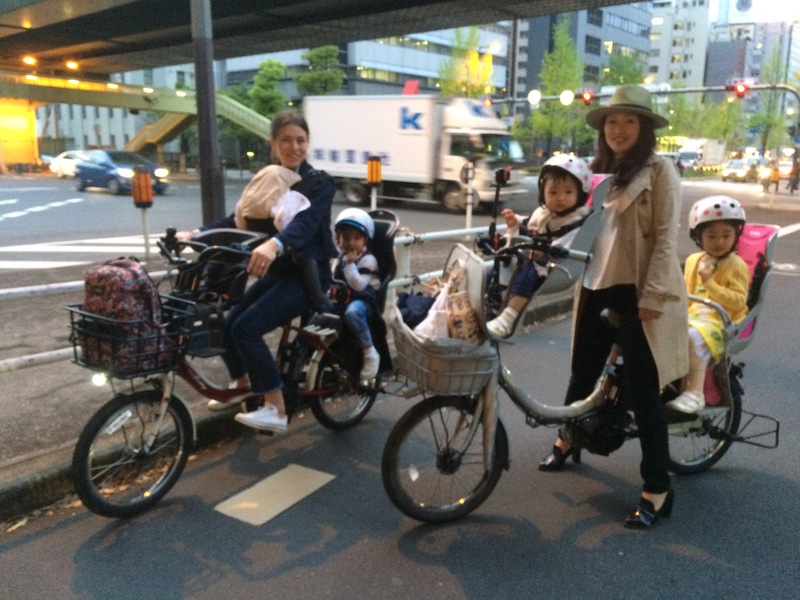 Lots of cyclists everywhere, which is normal in Japan, but to see two mothers carrying between them four small children seemed remarkable. I went to a lecture by Sustrans in London a while ago where the director of the cycling charity described seeing children and elderly people pedalling as a kind of ‘indicator species’ showing that cycling was becoming normalised and a safe way to travel. In troubled natural ecosystems ecologists look for plants, insects and bird life as signs of rejuvenation. Similarly Sustrans look for cyclists who are outside the fashion for sports driven biking but have adopted it as a safe and acceptable mode of everyday transport. Japan’s cycling ecosystem is clearly thriving. Cyclists are directed to ride on the pavements shared with pedestrians. There are bespoke tunnels cut through mountains on islands off Honshu to make safe cycle routes. Forget the Dutch and Danish models of cycling infrastructure, come and ride Japan’s!